The Village at Cedar Hill is pleased to host the next presentation in their popular Speaker Series, “Stroke Awareness for Stroke Survivors, Family Members, and Caregivers”, presented by Michael G. Denmeade, Director of the Therapeutic Recreation Department, Mt. Ascutney Hospital and Health Center on February 15, 2017 at 10 am. What is the prevalence of stroke in the U.S.? What are the effects of a stroke physically, mentally, emotionally and financially? What can we do to reduce the risk of stroke? Mr. Denmeade is a nationally certified therapeutic recreation specialist, with a bachelor of science in recreational therapy. He is also a certified brain injury specialist, has presented at Vermont’s Annual Brain Injury and Stroke Conference, and is dedicated to improving care for patients recovering from stroke and traumatic brain injuries. After the presentation there will be time for questions or comments. Admission is FREE, but space is limited and RSVP is suggested. 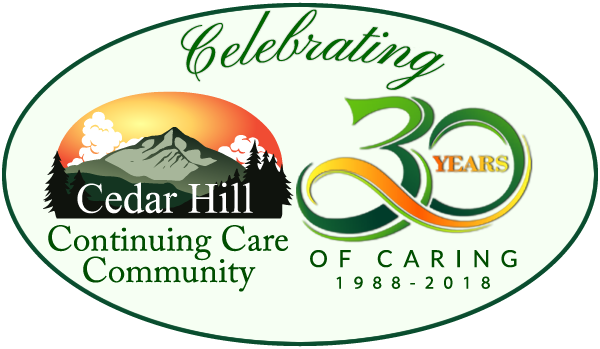 The Village at Cedar Hill Speaker Series will continue throughout 2017, with presentations on Elder Law, Medicare, and Estate Planning in the coming months.